Senator Elizabeth Warren in October. Former Senator Scott Brown’s candidacy for the top veterans affairs post in Washington got an endorsement Thursday from an unexpected corner: his old campaign rival, Senator Elizabeth Warren. 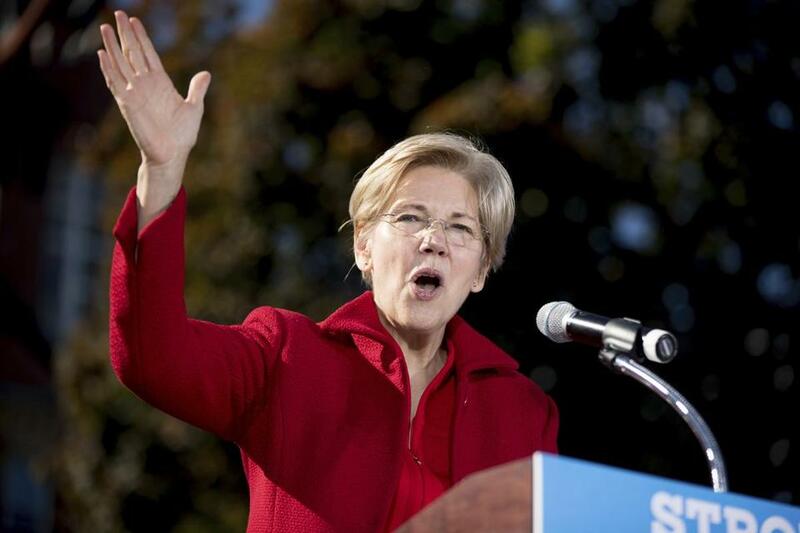 Warren, appearing on a Boston radio station, said she thought Brown, whom she unseated in 2012, would put his “heart and soul” into the job of veterans affairs secretary if tapped by President-elect Donald Trump. The note of support marked a decidedly different tone for Warren, who has been among Trump’s most persistent critics in the weeks since the presidential election. The first-term senator has aired many of the frustrations harbored by those on the left angry with Trump’s victory. Warren and Brown have also not shared warm relations since their match four years ago. Warren campaigned against Brown in his unsuccessful 2014 bid against US Senator Jeanne Shaheen in New Hampshire, and Brown has often been critical of her. Trump, of course, won the election, and received Brown’s endorsement shortly before the New Hampshire primary. Brown hosted Trump at a downtown fund-raiser in June, and Trump hosted Brown last week at Trump Tower, where the president-elect has been vetting potential appointments. On Thursday, it appeared that the Warren-Brown rancor had cooled. Brown served in the Army National Guard for 35 years, retiring in 2014. His victory over Democrat Martha Coakley in the 2010 special election to fill the US Senate seat when Edward M. Kennedy died ranks as one of the most stunning upsets in recent political history. Appearing on WGBH’s “Boston Public Radio,” Warren also sounded a measure of support for another Republican with Massachusetts roots under consideration for a Trump Cabinet post: former governor and 2012 GOP presidential nominee Mitt Romney, in the running to be secretary of state. “He managed to participate in all the worst practices on Wall Street,” Warren said. Her backing of Brown came the day after the Massachusetts Republican Party ripped her for her criticism of a $6.3 billion federal measure intended to boost medical innovation. Warren said the bill would “cover up bribery” and represent a giveaway to big pharmaceutical companies. Warren’s praise of Brown raised eyebrows among some who have watched what has been a consistently acrimonious relationship. “I think it surprised a lot of people,” said Erin O’Brien, a political science professor at University of Massachusetts Boston. “I think some of her support is born of some of the Cabinet picks [Trump has] been making. Scott Brown sounds a lot better to people who are serious about policy than, say, Sarah Palin,” O’Brien said, referring to the former Alaska governor and 2008 GOP vice presidential nominee. Palin is reportedly under consideration for the same post as Brown. Others saw some political calculus in Warren’s support of a former rival.